Inside the Soppa community, a group of coworkers and people close to Soppa are created Soppa Lab Culture Asociatión. We born with the intention to promove the culture, education and the tecnologie with European resources , European Culture industries and hubs. We dream witth a better Europe with more rights, equality and fair. We are going to start to get Erasmus projects in Las Palmas de Gran Canaria, working with digital nomads and creative travellers to get a great Soppa Community realizing culture with student from many countries, at the same time we start to work to make a interisland Project with two partnes from Italy and Greek Islands. 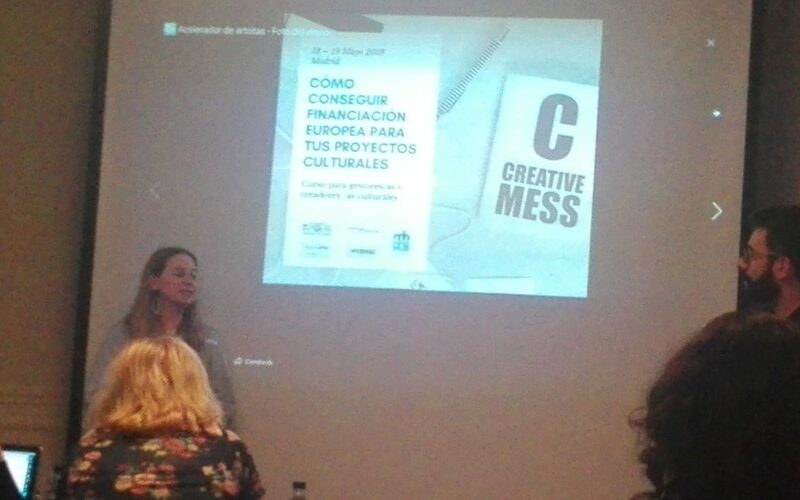 Last wekeend we went to Madrid to assit to a workshop about European fonds, culturall activity and relation ships between creative and cultural industries around Europe. The workshop imparterd by Paulo Monterroso from Matera, Italy, next Cultural European Capital was excellent and we made a lot of info and nice new Friends. Soppa its is not only a coworking space in Canary Island, is a Art Gallery with social Impact , artista residences, tecnologie workshops……..and now we are preparing to the future.